If you ever had the doubt that voice search would catch on, let me tell you, it has already arrived and is here to stay. Take the instance of the 2018 annual CES (Consumer Technology Association) Show, which was essentially dominated by voice-powered technology. Also, according to Pew Research, although voice assistants are present in a large number of devices, a big chunk of the American population (42%) uses them on their smartphones. Another statistic by Gartner states that by 2020, about 30% of web browsing sessions will be carried out without screens. Voice assistants are all the rage right now and brands are playing around with a plethora of tactics to leverage them. These facts drop copious hints at how voice search is growing. In order to keep up, online marketing professionals have to up the ante to survive the voice search takeover. Here are several key tips to do so gracefully. Google’s CEO Sundar Pichai has gone on record saying that 1 in every 5 US searches made with an Android device is a voice query. Add to this the fact that 25% of Windows 10 taskbar searches using Bing are now voice queries. So, step one of adopting voice search is to get some first-hand experience – if you haven’t already! This will certainly give you a better idea for how people phrase queries, the kinds of questions they ask, and why they choose voice over text. Start by experimenting with voice queries on desktops, smartphones, and voice-assistants at home. Additionally, you can compare the results with text-based search queries to see how much voice differs. We tried asking Google what is the song that played at the end of Deadpool. The result was spot on. 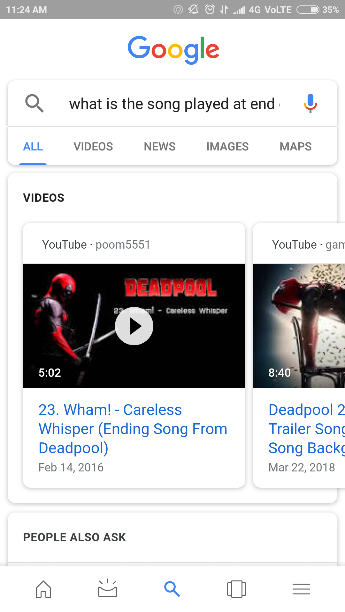 As you can see in the image, the keyword is “ending song from Deadpool,” something that people are more likely to search for. This can help you zero-in on the most common queries and what you can do in order to address them. Moreover, you can learn how to optimize the SEO within your website content. Google’s Hummingbird update laid heavy emphasis on semantic search. This places greater focus on user intent and making it the mainstay of the search results. You can then handle queries based on their context, as opposed to the specific wordings used. Since voice search yields longer queries with more natural language, you need to use more long tail keywords to make sure your messaging is more conversational. Additionally, you need to keep working at creating new and amazing pieces of web content that not only informs, but answers users’ questions by understanding their intent. Speaking of which, when you start providing answers to the 5 W’s and 1 H (Who, What, When, Where, Why and How), you can be assured of nailing the most popular voice queries by giving them to-the-point, customized answers. Moreover, we know that voice assistants are laying emphasis on the Featured Snippets. They are pulling answers to voice-based queries from top sites in ‘position zero.’ That being said, it’s important to be on that particular ranking to feature as a voice-search result. It can also help when you fit the context of the content, so that it can fulfil the requisites of a voice snippet. As a rule of thumb, always think along the lines of how your content would sound if it were to be read out loud. A great strategy is to create an FAQ page on your website and optimize it to include questions that answer the common queries in a conversational tone. 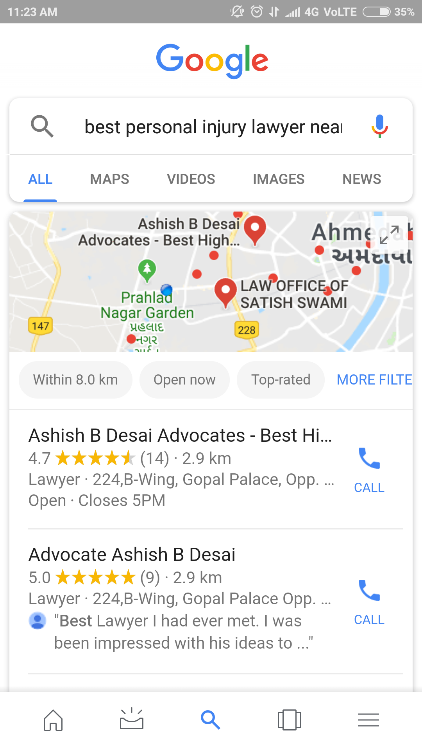 Voice search and local search are inseparable. According to Meditative Spotlight, over 50% of people make daily searches for local businesses on their smartphone. They ask for directions, reviews of places near them, more information about the best restaurants in town, and so on. Make your content relevant by incorporating localized keywords. Work on your local listings and encourage clients to post reviews. This will help you get featured higher on the local search results. The ultimate goal is to be positioned in the search engine’s local three-pack. This can lead to more exposure, and ultimately, more sales. Voice search is not an alien term anymore. However, it’s still very much in its infancy stage. Also, we know that Google is famous for making changes to its search algorithms without any warning. For all you know, you could wake up one day to find all kinds of drastic changes to your rankings with little to no explanation. Believe me, it happens! Therefore, it’s a given that in the world of SEO, you need to stay abreast of all the changes and how they are incorporated. It also helps when you learn about different voice-powered devices and how they function. Understanding the subtle nuances can empower you to build better content and adjust your SEO strategy accordingly. Structured data is an extra line of code that can be added to a web page to assist search engines in understanding what a site is all about. This is a combined initiative (Schema.org) driven by major search engine such as Google, Bing, Yahoo!, ect. It promotes a standard data markup on various web pages. 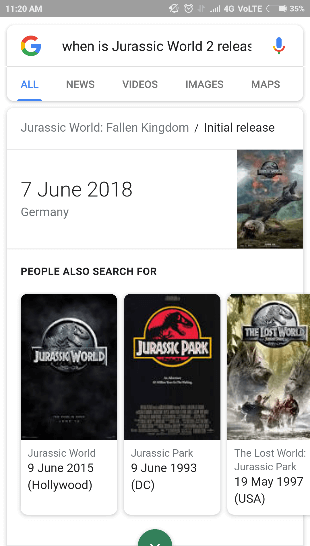 Structured data markup is usually implemented for a wide range of topics and categories, which include (but are not limited to) – people, places, reviews, recipes, services, events, creative works, organizations, etc. Use this whenever possible and it can help you improve search engine rankings by working towards providing enhanced, relevant results. By using structured data on your website, you can tell both people and search engine crawlers more about the page. This is essential for being voice-friendly. 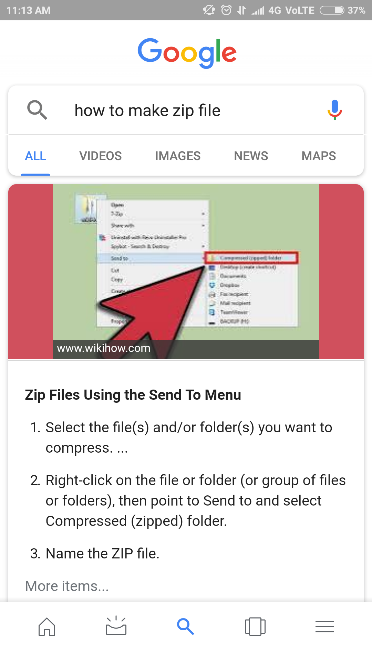 Opt for Schema microformatting to mark up your site, as this will help you provide answers to the most basic user questions. 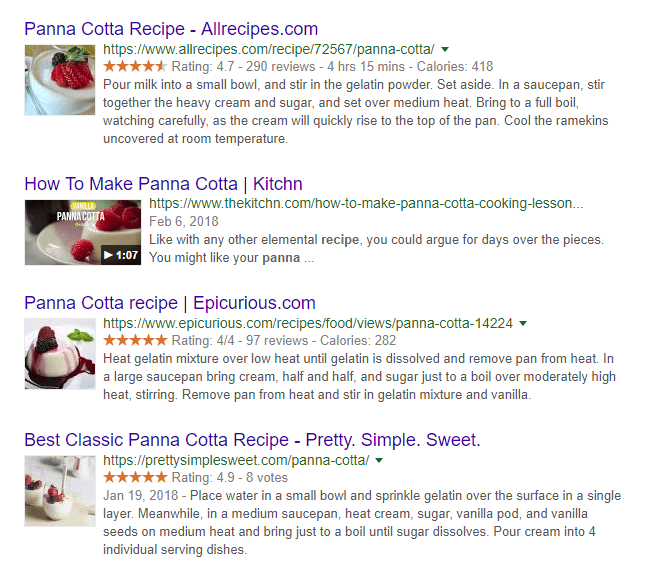 The more schema markup and microdata you include, the better you’ll get at providing rich, contextual answers. This, in turn, will work to enhance your online visibility. However, it’s not always that simple. The schema depends on the category or niche of your brand. It may not be possible to incorporate it for all categories and niches. Keeping this in mind, you do need to give it a try and see what’s what. Voice search is bringing about a revolution in the SEO world. It will not just impact your website content, but any other content you post on different platforms. The key is to adapt to the change, put an emphasis on how people use voice search, the language they use, and the ways it translates to your business. Understanding these components will help you better integrate voice technology with SEO and gear up for success. Have any other SEO strategy that can help you stay ahead of your competitors in the era of voice? Let us know in the comments!